Posted November 16th, 2018 by Mobile Music School & filed under Musical Theatre, Percussion Lessons, Singing Lessons. When it comes to TY workshops and delivering music in secondary schools, the Mobile Music School ensures all TY students are immersed in a highly energetic, fun-filled music-making session. Whether it’s drumming, singing or musical theatre, we have something to suit every school. 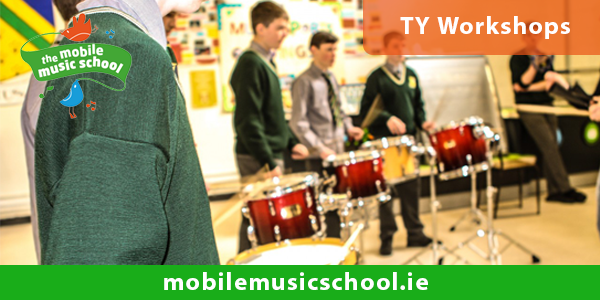 The Mobile Music School have worked extensively with Transition Year students and JCSP class groups for initiatives such as arts, culture and friendship week. As well as having a strong musical element, our music workshops for schools simultaneously act as team-building and confidence development workshops. The aim of our educational workshops for schools is to enable students to find hidden talents and to explore music through a hands-on music session. 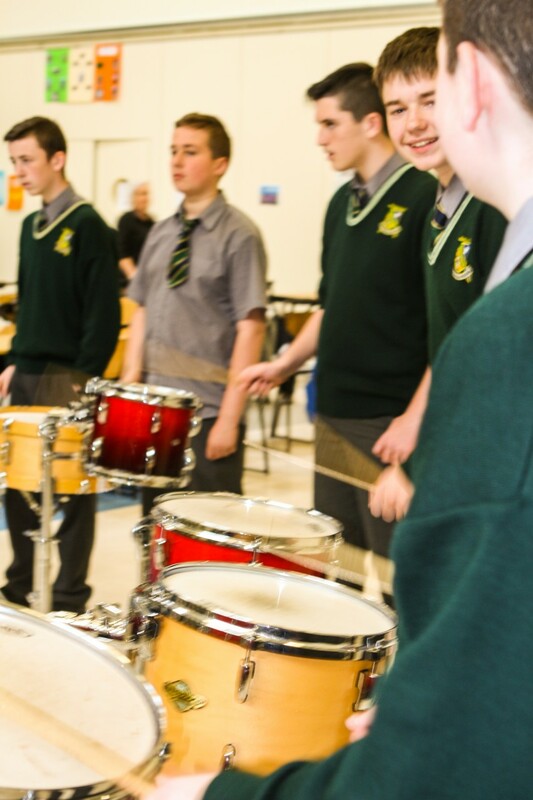 Our experienced and professional Garda-vetted music tutors actively encourage pupils to work collectively to develop a sense of team within groups. Our singing workshops encourage students to explore their voice through set activities and songs. These TY workshops are hugely educational to every student, regardless of their singing ability. Our approach to teaching music in secondary schools is to encourage students to project their voice correctly and to speak within a range that is comfortable to them – an important life skill for public speaking and debating. Our musical theatre workshops recreate a ‘slice’ of a well-known musical through singing, movement and drama. These educational workshops for schools aim to boost students’ self-esteem and confidence in performing, while developing their creativity and showmanship in a relaxed, open environment. To discuss these workshops for schools in further detail, please call us for an informal chat on 01 892 8058 or send your queries to admin@mobilemusicschool.ie. For more information, please see our TY Workshops page.